The confidence, knowledge and character won me over....but the experience and hard work settled the case. Client review posted by E.A., Warrenville, Illinois. 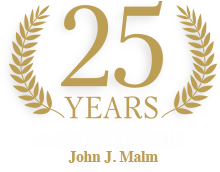 For the past 25 years, our valued clients in Naperville, and throughout Illinois, have turned to Attorney John J. Malm and his team for help after a serious injury or a tragic loss from an unexpected accident. John has recovered millions of dollars in compensation for his clients and has built a reputation for excellent client service. John’s proven success has been earned, one client at a time, over a wide range of personal injury and wrongful death cases. Choosing the right Naperville personal injury lawyer to represent you is an important decision. The attorney’s qualifications and experience in handling the type of case involved is important. You should be confident that he or she not only possesses the necessary level of skill as a trial lawyer, but will also devote the time, energy, and resources needed to successfully litigate and resolve your injury case in a timely manner. Your personal injury case is too important to settle for anything less. What do we offer our personal injury clients? When a client places their trust in us, our role of seeking justice for them and their family is not taken lightly. We will fully commit our resources, skills, and passion as trial lawyers. We will work diligently to obtain a recovery that will help compensate for the harm caused by a difficult and painful injury or give comfort to a grieving family for their profound loss. Our team of Naperville personal injury lawyers offers a caring and compassionate approach to representing you throughout your case. We will work to get you the compensation you deserve in your personal injury or car accident case. Our results-driven personal injury lawyers, supported by our exceptional staff, will provide personalized attention to you at every step, to help you understand and resolve the complex legal and financial issues that arise after an accident. We are ready to listen and help you. If you are coping with the devastating effects of a serious personal injury or the tragic loss of a loved one, you need guidance and reassurance. When it matters most to you and your family, get a personal injury lawyer who is determined to get results. Call and speak directly with Naperville personal injury lawyer, John J. Malm, and receive a free, no obligation consultation. John will listen to you and take the time needed to explain the legal issues you face, answer your questions, and offer you the best strategy to pursue a successful outcome. We have successfully handled hundreds of personal injury cases, proudly recovering millions of dollars for our clients and their families. For the past 25 years, John has served the individual needs of his clients in Naperville and throughout Illinois, successfully recovering millions of dollars in compensation. John and his dedicated team of personal injury lawyers have the skills and resources needed to handle many types of personal injury and wrongful death cases, including car accidents, pedestrian accidents, bicycle accidents, motorcycle accidents, truck accidents, uninsured motorist claims, work place injuries and workers’ compensation, construction site accidents, nursing home abuse and neglect, dog bites and pit bull attacks, premises liability and slip-and-fall injuries, defective and dangerous products, sports injuries, medical malpractice, asbestos and mesothelioma claims, and serious food-borne illnesses. Our Naperville personal injury lawyers work exclusively on a contingent fee basis, which means that we will be compensated only if we obtain a recovery for you in your case, either through settlement or trial. If we do not collect for you, our services to you are free. There is never a fee or any obligation to discuss your case. You can feel comfortable to call us or make an appointment to discuss and review your case. We answer or respond to phone calls, messages, and emails 24 hours, including evening & weekends. 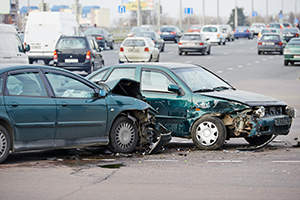 In Illinois, car accidents occur all too frequently on our highways and roads. Under the law, every driver owes a duty to operate a motor vehicle in the exercise of reasonable care, to obey the traffic laws, and take measures to avoid an accident when necessary. Car accidents, including pedestrian accidents, bicycle accidents, motorcycle accidents and fleeing motorists, often result in serious injuries and fatalities. When a traffic accident occurs due to a driver’s negligence, the at-fault driver and his insurance carrier can be held liable for the injuries and other damages caused, including medical bills, pain and suffering, disability, lost time from work, and wrongful death. 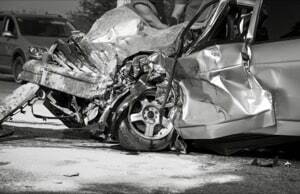 Our car accident attorneys have been successful in recovering millions of dollars for our clients and their families after a motor vehicle crash. If you have been injured in a car crash, you may be entitled to compensation. We have successfully litigated hundreds of motor vehicle accident cases in Naperville and the surrounding area, including personal injury cases involving serious injuries and wrongful death. Our team of personal injury lawyers have extensive experience representing clients who have been injured or suffered the loss of a loved one as the result of a trucking accident. We have represented personal injury clients in all types of semi-truck accidents in Illinois, including intersection collisions, rear end collisions, jack knife collisions, sudden merge or lane change accidents, and other major highway accidents. 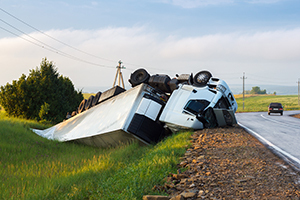 There are complicated legal issues that can arise after a truck accident. Proper discovery must be conducted to confirm the identities of third parties, such as vehicle owners and freight operators, to review safety records, and to obtain records of driver training procedures. We have successfully sued trucking companies in a wide variety of truck accident claims and recovered millions of dollars for our clients and their families. Our team of truck accident lawyers will discuss your case and help you obtain a successful recovery after a serious truck accident. In Illinois, drivers who purchase “full coverage” under an automobile insurance policy also purchase coverage for injuries resulting from “uninsured motorists” and “underinsured motorists.” The amount of coverage often depends on the specific language in the policy and the coverage declarations. An “uninsured motorist claim” arises when the at-fault motorist carries no coverage at all or has fled the scene and cannot be identified (hit-and-run accidents). An “underinsured motorist claim” arises after a vehicle crash when the amount or limits of coverage carried by the at-fault driver is inadequate to compensate the injuries and other damages that you have suffered. Remember, bringing an uninsured motorist claim against your insurance carrier is somewhat complicated, and there are specific notices that must be given first. It is best to consult with a knowledgeable Illinois uninsured motorist claim lawyer. We are experienced in handling uninsured motorist claims and we work directly with you to file the appropriate legal notice against your insurance carrier in accordance with the law. Our personal injury attorneys in Naperville will then work to settle your case, or present your case at an arbitration if necessary, so that you will receive the financial compensation you deserve under the law. If you have suffered an injury at work, you may be entitled to compensation for your injuries regardless of whether your employer was negligent. In Illinois, workers’ compensation claims arise out of work-related accidents and illnesses. 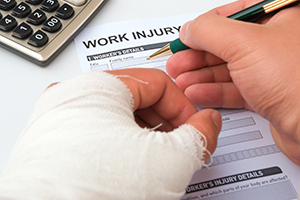 An injured worker is entitled to receive medical care at the expense of their employer for injuries sustained on the job. You may also be entitled to compensation for a portion of your lost wages while you are away from work, along with a lump sum settlement for any permanency, also known as permanent partial disability or PPD. We have recovered millions in workers’ compensation settlements for our clients in their workers’ compensation claims. Enlisting the skilled Illinois workers’ compensation attorneys at John J. Malm & Associates can help you maximize your workers’ compensation settlement. Among the most serious of all injuries are those suffered by individuals at construction sites in Illinois. Construction-related accidents arise because of improper training, unsafe or dangerous equipment, lack of appropriate on-site supervision, improper warnings, and the careless use of heavy equipment. Regardless of compliance with safety regulations, such as OSHA, workers at construction sites often suffer serious and permanent injuries when the carelessness of others results in an accident at the site. 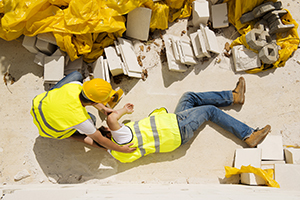 Construction site accidents are complicated and often involve multiple third parties; therefore, it is best to speak with an experienced Illinois construction accident lawyer who can explain your rights. You should not offer a statement to or answer questions with an insurance company investigator. The knowledgeable Naperville personal injury lawyers at John J. Malm & Associates, will work with you to identify responsible parties, carefully analyze the complicated legal issues you must confront in your construction accident case, help you take the necessary steps to protect your legal rights, and obtain the compensation you deserve. As our population ages, more families face the difficult task of relying on nursing home personnel to care for our loved ones. When we place our aging parents or grandparents in a nursing home, we trust the nursing home to closely monitor them and to take proper care of them. However, all too often, nursing homes are inadequately staffed, or have personnel who have been improperly trained and simply fail to provide basic care for elderly residents. Unfortunately, nursing home abuse and neglect is on the rise in Illinois. The Illinois Nursing Home Care Act protects nursing home residents from elder abuse, which is defined as any negligent, knowing, or intentional act by a caregiver that causes harm to an elderly person. Nursing home abuse and neglect often results in bed sores and ulcers, falls, malnutrition, medication errors, infection, and, in some cases, battery due to inadequate monitoring. 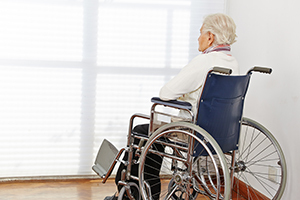 The experienced team of Illinois nursing home attorneys at John J. Malm & Associates have successfully handled many nursing home abuse and neglect cases and have recovered millions in nursing home settlements for our clients and their families. We will explain the legal process and work closely with you to obtain the justice and compensation you and your family deserve. 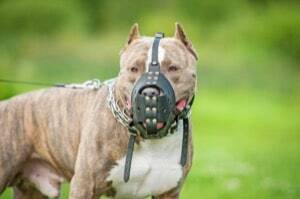 With dog ownership in Illinois on the rise, it is not surprising that the number of reported incidents involving serious dog bites and pit bull attacks has increased dramatically. Many of these claims involve serious injuries to children. If you or a loved one has suffered an injury because of a dog bite or pit bull attack, you may be entitled to substantial compensation for medical expenses, disfigurement, loss of a normal life and emotional injuries. Do not speak to the insurance company until you have consulted with a knowledgeable Illinois dog bite lawyer. The experienced Naperville dog bite attorneys at John J. Malm & Associates have successfully obtained millions in dog bite settlements for our personal injury clients and their families after a dog bite or devastating animal attack, and we want to help you. In Illinois, injuries resulting from premises liability cases, including slip-and-fall or trip-and-fall accidents, often cause serious and long-lasting conditions, sometimes requiring surgery. How are slip and fall cases handled? 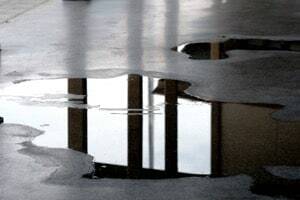 Under the law, to recover damages in a premises liability case, it must be established that the property owner had knowledge of the dangerous condition or defect that caused the fall to occur. If the property owner knew of the dangerous condition on the property but failed to act within a reasonable time to correct the condition, he or she may be liable when someone falls and becomes injured. What conditions commonly result in slip and fall injuries or trip and fall injuries? Some examples of dangerous conditions include oily or wet surfaces, poorly lit stairwells, lack of warnings or failure to place warnings signs, bunched or rolled up floor mats, icy conditions caused by a leaking gutter, improperly placed downspouts or other unnatural accumulations of water and ice, broken sections of sidewalk or parking lot pavement, defective stairs, unsafe railings or a stairway in disrepair. The Naperville premises liability attorneys at John J. Malm & Associates have successfully recovered millions in slip and fall settlements for individuals after a serious fall down incident has occurred. Defective products may result in liability for manufacturers when a dangerous or unsafe product is brought to the marketplace. In Illinois, a manufacturer or seller of a product has a duty to produce a safe product and to warn us against an unsafe product. 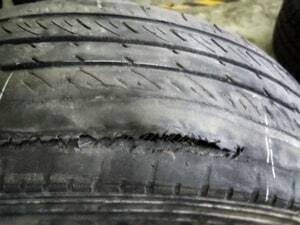 A defective and dangerous product is one that is unreasonably dangerous to the user because of the design of the product or a manufacturing defect. Product liability cases are complex and often require engineering analysis to prove that a product is legally unsafe. If you have been injured because of a defective or dangerous product, you may be entitled to compensation for medical costs, pain and suffering, scarring and disfigurement, lost wages, and loss of a normal life. Over the past 25 years, John J. Malm has gone to extraordinary lengths to help his clients in their serious product liability cases, traveling abroad when necessary to depose engineers and collect testimony and evidence needed to win in court. The Illinois product liability attorneys at John J. Malm & Associates have recovered millions in defective and dangerous product settlements for clients who have suffered an injury or loss because of a dangerous product. Our team of product liability attorneys are committed to consumer safety and will apply the necessary resources to successfully pursue your product liability claim after an injury or fatality from a defective product. 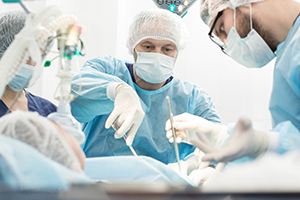 In Illinois, medical negligence or malpractice occurs when a health care professional, such as a doctor, nurse, or hospital, deviates from the applicable standard of care in treating a patient. The standard of care depends upon the accepted medical practice ordinarily used by other doctors in the same field of medicine. Medical malpractice cases often arise after a misdiagnosis or failure to diagnose, a failure to provide appropriate medical treatment in a given circumstance, a failure to follow appropriate surgical procedures or techniques, a delay in providing treatment, or in ordering prescription medications that are unsafe for a given patient. Illinois medical malpractice cases are complicated and expensive. Illinois requires that victims of medical malpractice first consult with a doctor before filing a lawsuit, to certify that the applicable standard of care has, in fact, been breached. Our team of experienced medical malpractice attorneys here in Naperville have recovered millions of dollars in compensation for our clients and their families after a doctor’s negligence has resulted in harm. Sports injuries can occur to both spectators and participants alike when facilities and organizations carelessly fail to provide proper supervision, safety measures, and equipment. Sports injuries can occur in both youth and adult sports at schools, gyms, training facilities, and ball fields, during practices, instruction, or competition. Most sports related injuries can be prevented simply by using proper safety equipment, or carefully taking basic steps to ensure that spectators and participants are safe from harm. The most common sports-related injuries in Illinois involve head injuries or concussions, fractures, and neck and back injuries. Not all sports injuries are compensable, and under Illinois law, proving liability in a sports-related injury case can be difficult. There are legal immunities granted by law to defendants that may prevent them being liable for a given injury, including immunities granted by statutes, such as those for recreational facilities, governmental entities, schools, and park districts. 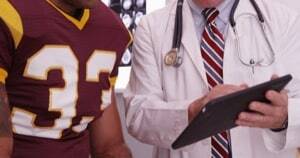 You should consult with a knowledgeable sports injury attorney before proceeding with a sports injury claim. The Illinois sports injury lawyers at John J. Malm & Associates have represented numerous individuals and families who have suffered a serious sports-related injury or experienced a fatality. What is Defamation in Illinois? Recently, there have been numerous lawsuits in the news involving defamation. So, what exactly is defamation and how does a defamation lawsuit work? Complete the contact form or call us at (630) 527-4177 to schedule your free consultation.